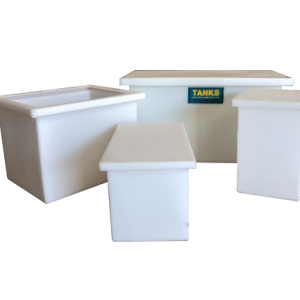 Open Top Rectangular Tanks can be used for indoor applications such as potable water storage, food storage, batch/mixing tanks, temporary storage of compatible chemicals, automotive fluids, fresh oils, soaps and are also popular in the chemical plating industry for dipping purposes. 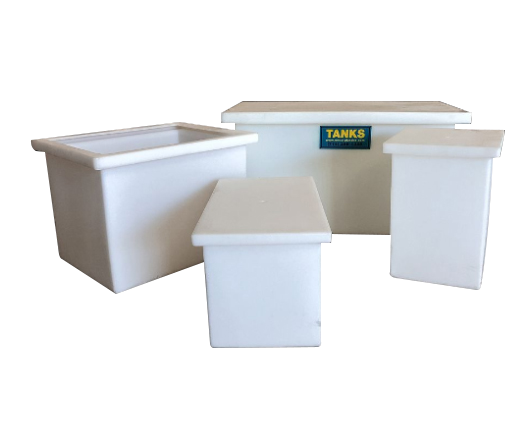 Tanks are manufactured from Polyethylene with UV inhibitors. Some tanks are available in Polypropylene. The tank walls are translucent for level viewing and equipped with gallon indicators. Tank Covers and Stands sold separately.